How does crypto feature in The Land of the Free? From Bitcoins inception to the present day, the United States has been a key player in the spread and success of cryptocurrency and its associated technology. With this in mind, it was only right that Wirex should have a presence across the pond. Following the inauguration of our Toronto office north of the border, we set up shop in the US and partnered with payments processing platform i2c Inc. to be able to offer our innovative services to American clients. To celebrate, Wirexs own Gemma Doswell takes a look at the complex relationship between Uncle Sam and decentralised, digital currency. San Francisco North Americas tech hub is the most Bitcoin-friendly city in the world, according to Investopedia. The home of tech giants like Google, Facebook, Twitter, Uber and Airbnb, Frisco is Americas technological anchor. It boasts the highest degree of crypto acceptance of any city in the world, with over 177 merchants accepting payment in Bitcoin and 20 Bitcoin ATMs in operation. 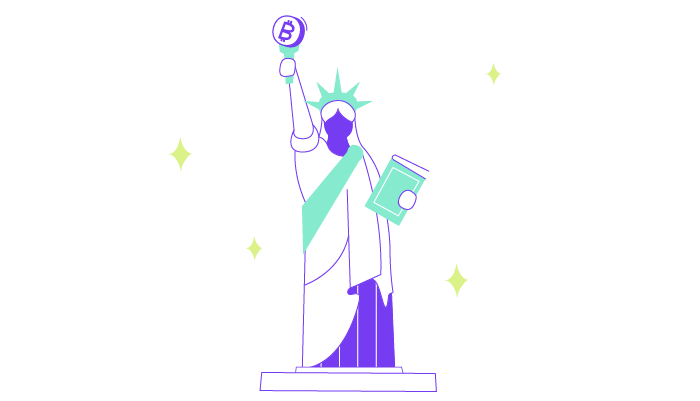 Across the continent, New Yorkers can spend their BTC at an impressive 120 merchants throughout the Big Apple, proving that crypto innovation is not limited to the West Coast. The city even has its own cryptocurrency - NewYorkCoin (NYC). NYC was set up, ambitiously, to compete with Bitcoin and Litecoin. In reality, any similarity with Bitcoin comes not from its performance (NYC ranks 552nd on the crypto market at the time of writing) but from the fact that its creator remains anonymous. According to the tokens own marketing material, the original developer of NewYorkCoin literally disappeared at launch. 1200 miles to the south, Florida has made its own indelible mark on cryptocurrency history. The Sunshine State entered Bitcoin mythos forever in May 2010, when programmer Laszlo Hanyecz made the first real-world Bitcoin transaction from Jacksonville. Hanyecz posted in Bitcoin Forum, what Im aiming for is getting food delivered in exchange for bitcoins where (sic) I dont have to order or prepare it myself. An obliging student responded and ordered him two pizzas from Papa Johns in exchange for 10,000 BTC. Hanyeczs 10,000 BTC worth $25 at the time now commands a value of over $63 million (at the time of writing). This innocuous exchange represents the first time that Bitcoins monetary value was reflected in the real world. Bitcoin Pizza Day is now celebrated annually by crypto enthusiasts around the world. Earlier this year, the Governor of Wyoming Matt Mead passed legislation that made crypto and blockchain infrastructure more legally friendly to businesses in the state. There is still considerable debate across the USA about whether cryptocurrencies should be defined as securities or commodities; circumventing both the Securities and Exchange Commission (SEC) and the Commodity Futures Trading Commission (CFTC), the state of Wyoming is the first elected body in the world to define a utility token as a new type of asset class different from a security or commodity, explains Caitlin Long, co-founder of the Wyoming Blockchain Coalition. Instead, the Cowboy State now regulates cryptocurrencies under property law. Wyomings novel legislation has allowed what the FT describes as Americas least-populated and most minerals-dependent state to join the frontline of the crypto advocacy movement. Crypto-based companies are popping up throughout the state, adding value to Wyomings economy and bringing local industries like agriculture and mining into the 21st century. BeefChain is a good example of this. The startup aspires to bring greater transparency to the beef industry using blockchain. By tagging cows and entering their details onto blockchain, farmers and ranch owners can verify the quality of their beef by tracking every step of the supply chain and sharing this data with buyers. Tracking a cow from pasture to plate used to be a paper-intensive business, explains the CEO of BeefChain, Rob Jennings. Somewhere along the way the value gets lost. BeefChain helps farmers ensure that premium prices can be obtained for premium-quality beef. Among the most recognisable faces on the American cryptocurrency scene are the Winklevoss twins. Thrust into public consciousness when they sued Mark Zuckerberg over the intellectual theft of Facebook in 2004, the brothers have enjoyed prominence in American culture for much of the last decade. In 2017, they proclaimed themselves the first ever Bitcoin billionaires, rumoured to have never sold a single Bitcoin. The Winkleviis most recent endeavour is attempting to get a Bitcoin ETF approved by the SEC. An ETF (exchange-traded fund) is a financial instrument thats used to track an index. Wirex Finance Manager Bhavik Patel is on hand to elaborate. Imagine all the shares of the FTSE100 are included in an ETF, and it is tracking its exact movement. The ETF has been balanced with 30% shares in Sainsburys and 40% in M&S. At some point, the index soars; the reason it is rising is because the Sainsburys shares have soared. The fund would need to be re-balanced by increasing its holding in Sainsburys in order to reflect the movement of the FTSE index. The Winklevoss Twins aspire set up a fund of this nature for Bitcoin, but its not looking good. As crypto is still largely unregulated and unindexed, the twins applications have been rejected by the SEC. The commission called their arguments incomplete and inconsistent, and unsupported or contradicted by data. Ouch. Although many luminaries in cryptos brief history have been American, the country still has a long way to go before achieving mainstream commercial and corporate adoption. Not all obstacles are regulatory. The expansive geography of the United States doesnt lend itself to consensus on crypto integration. 50 states essentially means 50 separate governments with their own conflicting agendas, each allowed to legislate without collaboration. Then there are the authorities. Despite the appointment of Valerie Szczepanik as the first ever Senior Advisor for Digital Assets and Innovation in June, the US Securities and Exchange Commission remains a stubborn impediment to mainstream adoption. With no apparent irony, Szczepanik warned that, the presence of regulated players could help put crypto out of the shadows, giving authorities better insights into whats going on. But, if the markets remain opaque, the SEC might get more aggressive. Despite the SECs scepticism, Bank of America applied for a patent to develop a secure crypto storage system this year. The announcement resulted in an internal schism, with senior BoA officials expressing concerns about the security and validity of digital currency. This split is a reflection of a general rift in public (and corporate) perception of digital currency, between die-hard crypto evangelists and those who consider it little more than a speculative bubble. Donald Trump, a man of many opinions, said that he is keeping an eye on Bitcoin. What this means is unclear, however the signs suggest that the Trump administration is not averse to crypto innovation. Trumps former Economic Advisor, Gary Cohn, was a firm believer in the disruptive potential of cryptocurrencies and its likely that he has shaped Trumps attitudes towards them. Crypto news outlet Cointelegraph went as far as declaring that Trump might possibly be the most crypto-sympathetic leader in the Western World right now. Its anyones guess as to whether cryptocurrency adoption in the USA can maintain its current momentum; success is more likely to depend on whether crypto captures Donald Trumps imagination than its versatility and inherent technological advantages. Wirex tested the versatility of crypto during the Money20/20 Payments Race as our racer extraordinaire Max Meilleur took Team Crypto to an impressive victory. Racing from New York to Las Vegas using only cryptocurrencies to pay his way, Max showed the Wirex app as a force to be reckoned with. 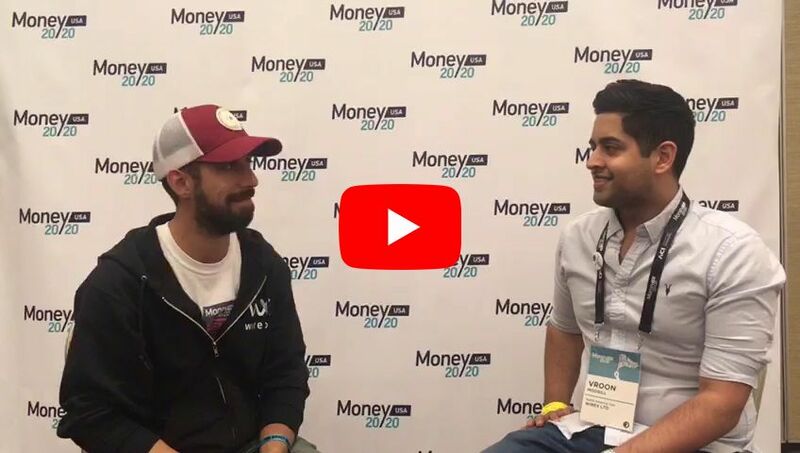 Check out this video where Max talks crypto recognition, crypto adoption and racing in the USA with our North America CEO, Vroon Modgill. Wirex gives anybody the chance to explore cryptocurrency in a secure, regulated environment. If you havent signed up already, do it now! Onboarding clients in the USA begins soon, so keep your eyes peeled for more announcements.